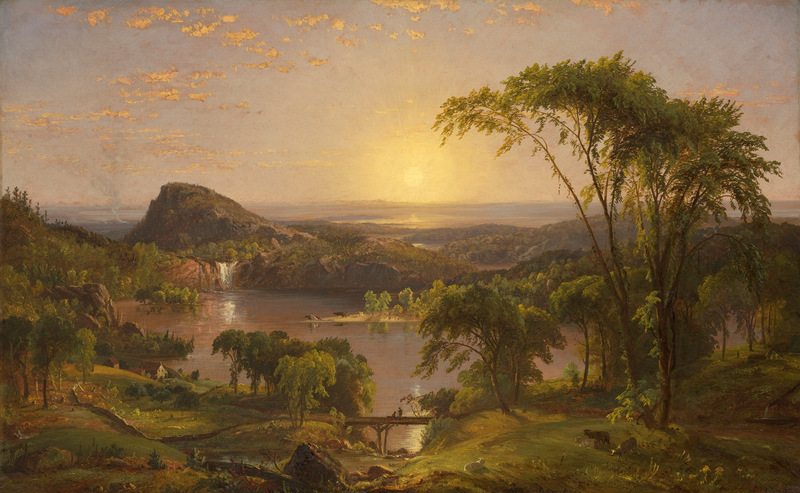 Jasper Francis Cropsey – Indianapolis Museum of Art 71.13. Title: Summer, Lake Ontario. Date: 1857. Materials: oil on canvas. Dimensions: 38.1 x 61 cm. Nr. : 71.13. Source: http://collection.imamuseum.org/artwork/60805/. I have changed the light and contrast of the original photo. 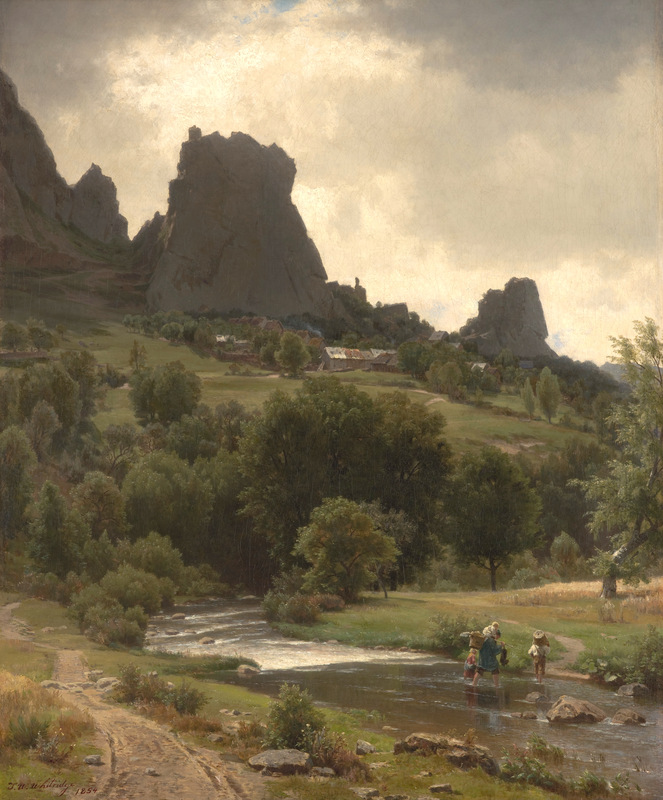 Thomas Worthington Whittredge – Indianapolis Museum of Art 54.173. 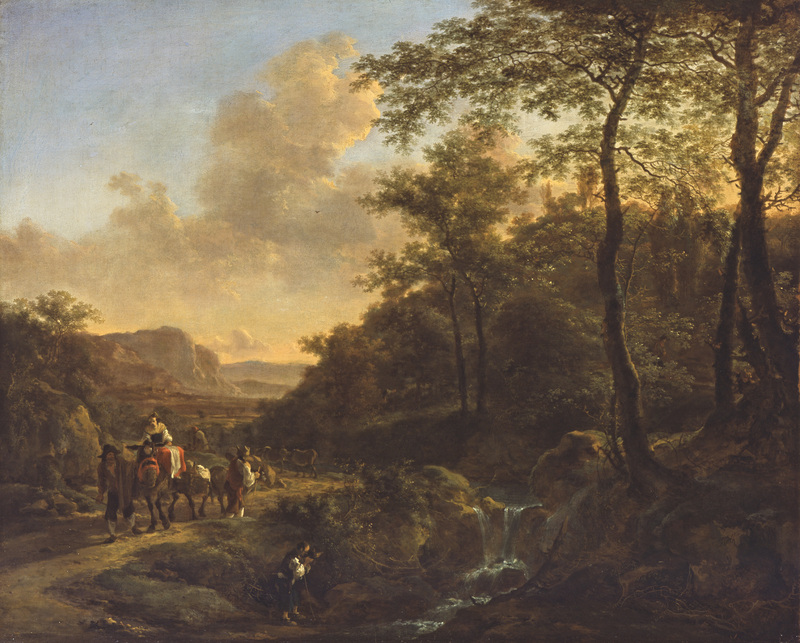 Title: Summer Pastorale (View of Kallenfels). Date: 1853. Materials: oil on canvas. Dimensions: 98.4 x 82.2 cm. Nr. : 54.173. Source: http://collection.imamuseum.org/artwork/56241/. I have changed the light and contrast of the original photo. 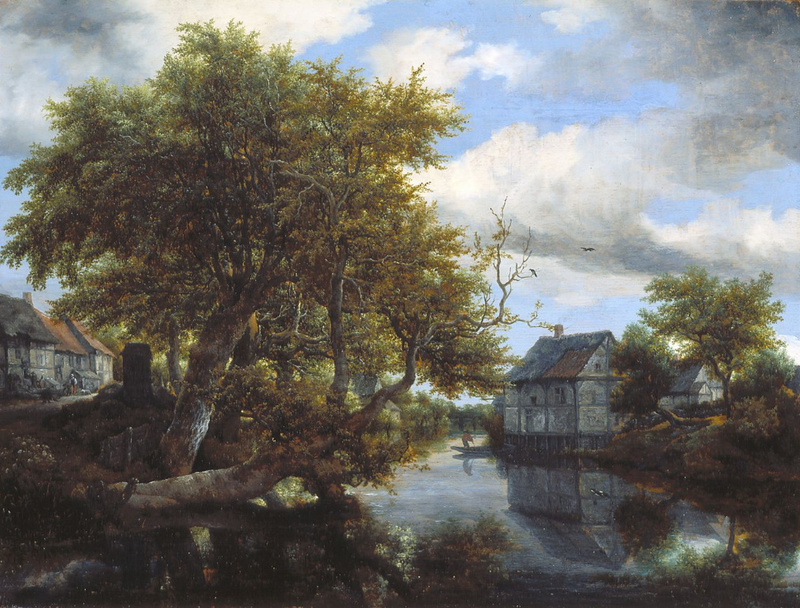 Jacob van Ruisdael – Indianapolis Museum of Art 44.54. 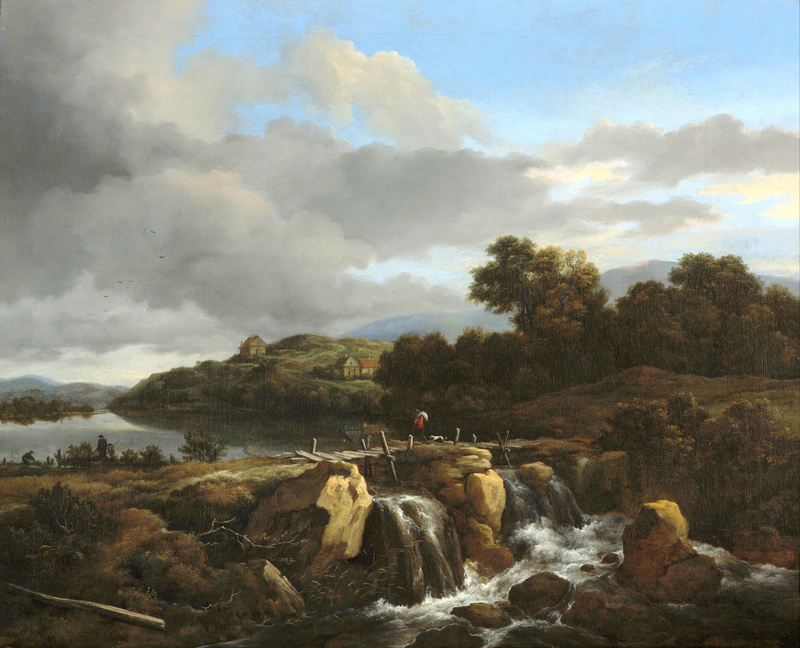 Title: Landscape with Cascade. 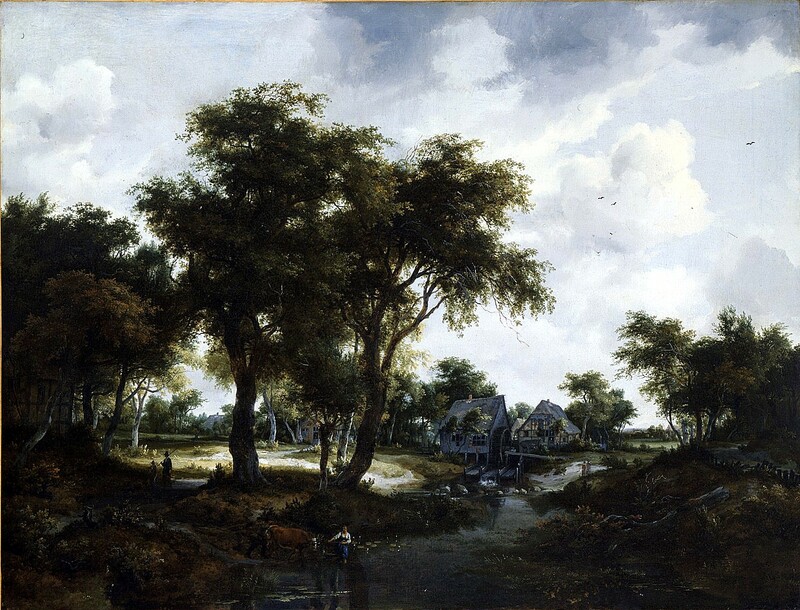 Date: c. 1670-1675. Materials: oil on canvas. Dimensions: 76.2 x 94 cm. Nr. : 44.54. Source: http://collection.imamuseum.org/artwork/81592/. I have changed the light and contrast of the original photo.